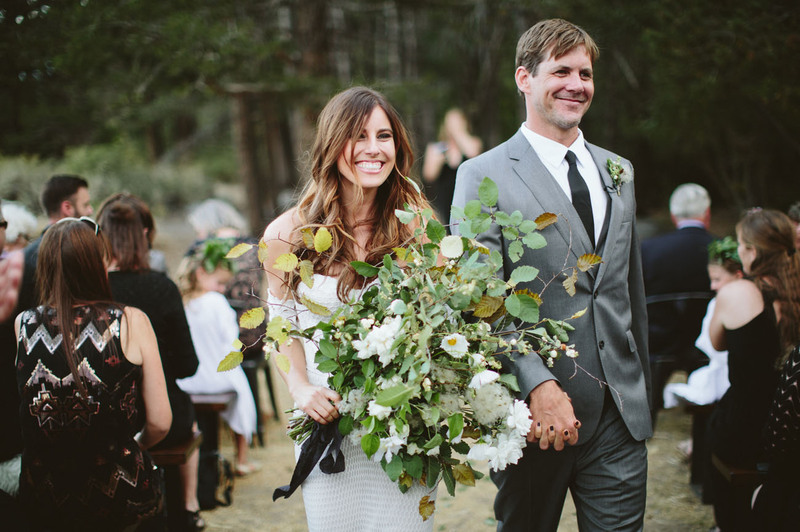 There was so much goodness + an abundance of lovely details at today’s wedding that we had to make it a two-parter! 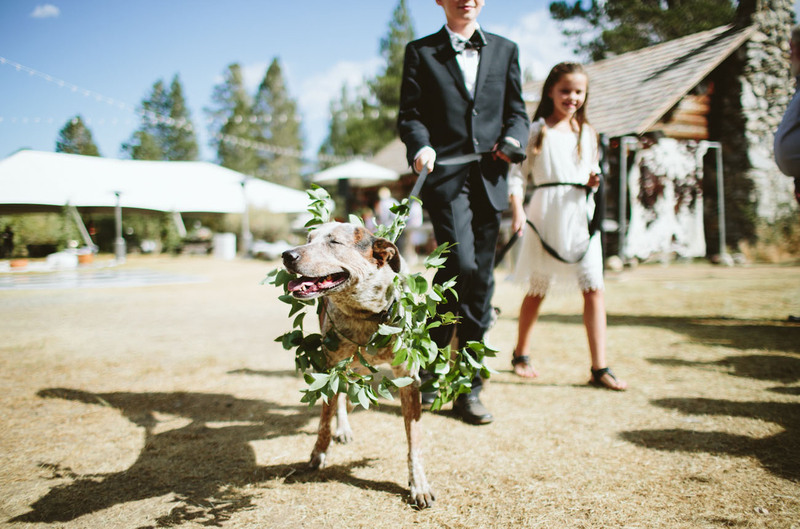 So make sure to stop by later to see all the nature-filled details of the reception. 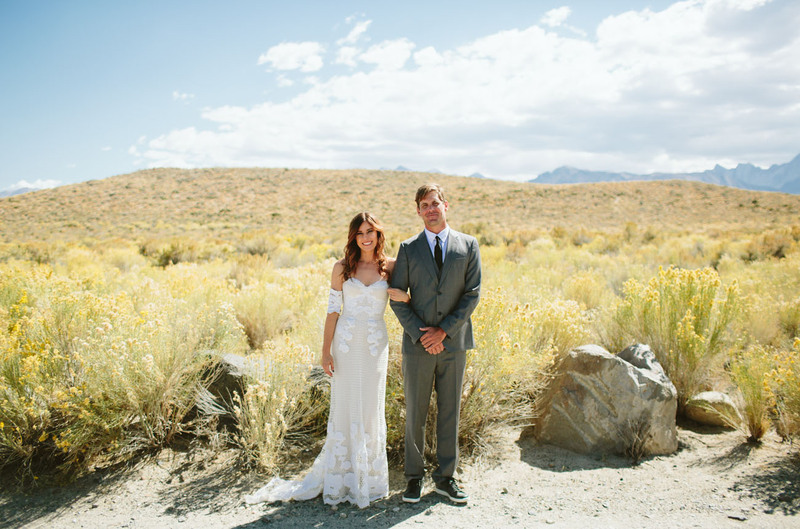 :) Introducing Taryn + Eric, the couple who loves the outdoors, especially Mammoth Mountain. 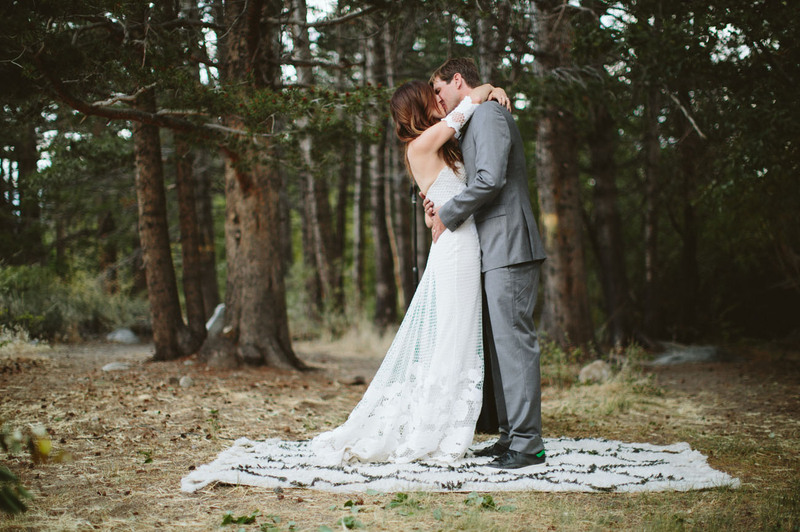 Both T+ E grew up going to the Sierra Nevada mountains as kids (coincidentally their families always vacationed at neighboring lakes – June + Gull!) After the two met, they went up to this area a lot, so it definitely was a place with a lot of sentimental value that they wanted to share with their friends. 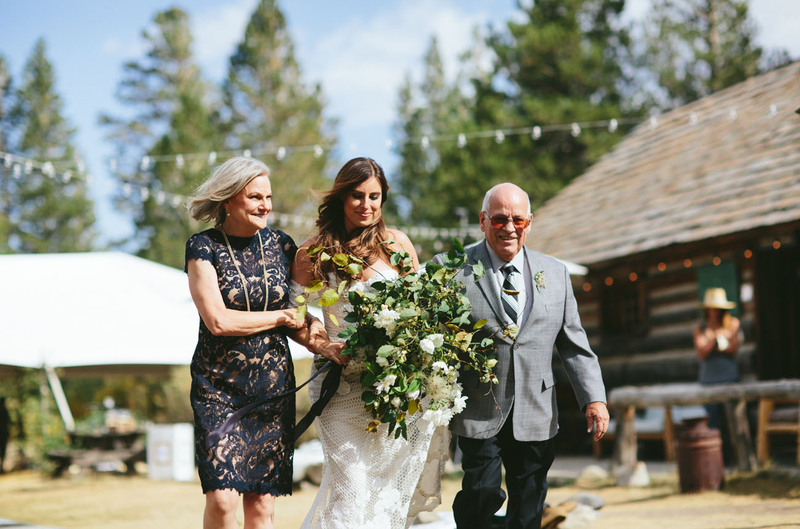 With Taryn’s epic eye for details — she’s a photographer that specializes in fashion + lifestyle/travel photography — and the help of planner + designer, Lace and Likes, their Mammoth Mountain wedding couldn’t have turned out more perfectly. 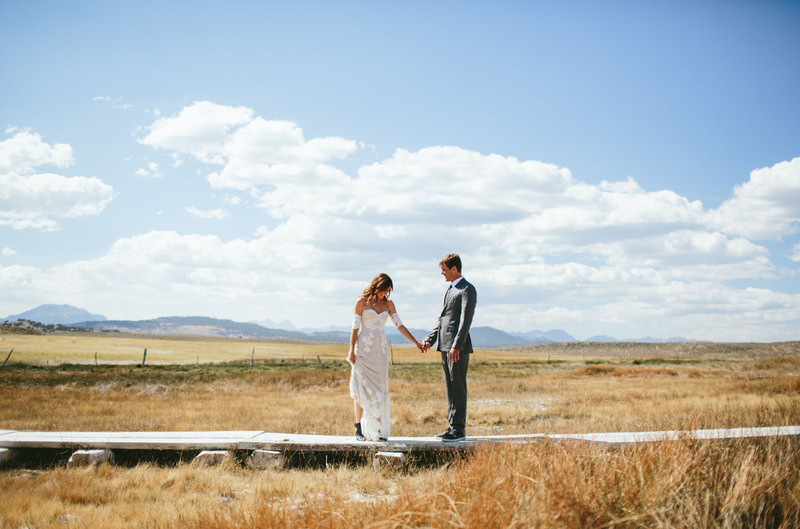 Taryn shares We’re both pretty simple and knew we didn’t want anything too over the top. 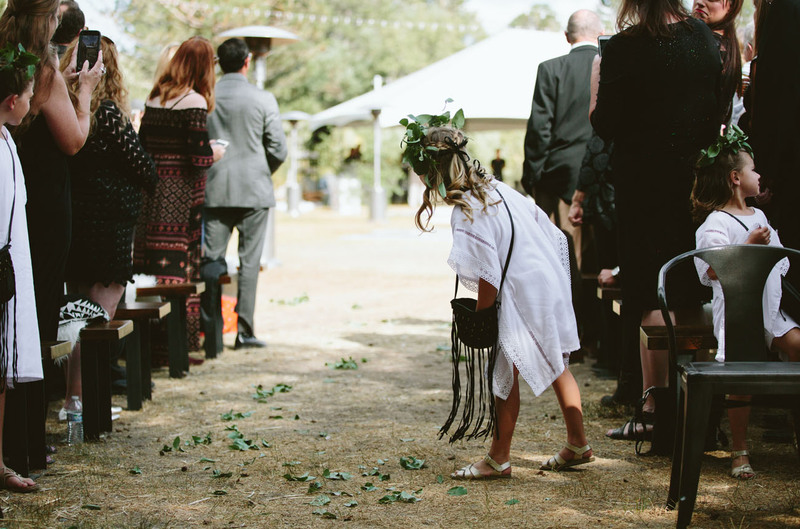 We wanted our guests to have a blast and to have a wedding that felt more like a party. 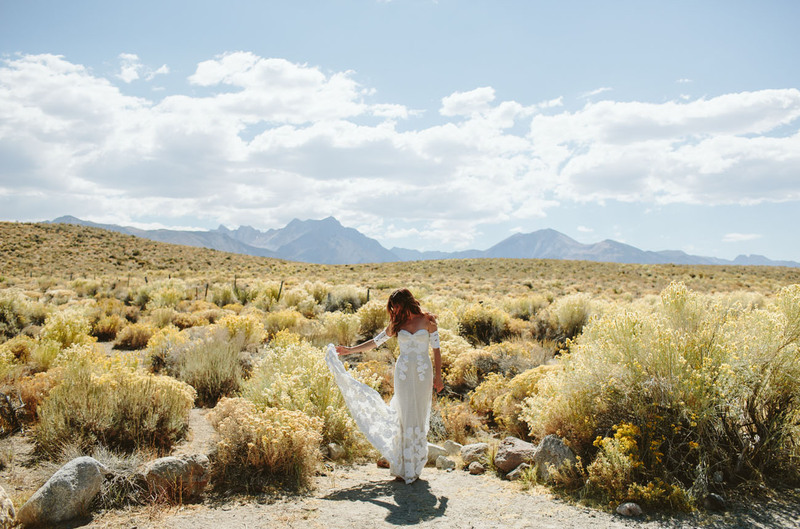 And ultimately, we really wanted to show off the beauty of Mammoth… I have so many creative friends who helped me with little details for this wedding + with the planning process: Renata, the owner of Knottery Art, surprised me with hand-made mini ombré macrame favors; Angela of Cleobella created custom flower girl dresses; Jillian at Marrowfine designed my wedding band. All their help truly made the day extra special. 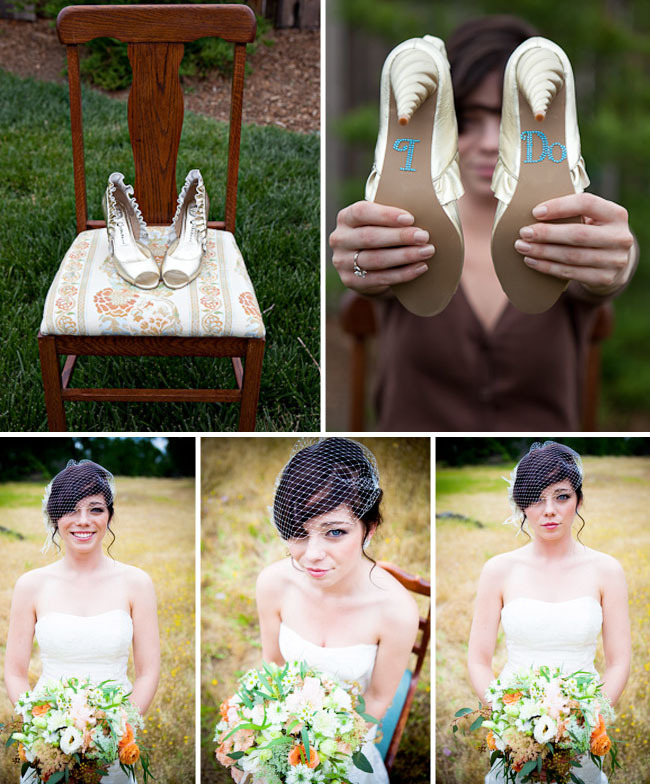 Ready to see all the pretty details photographed by Paige Jones? Let’s head to the mountains!! 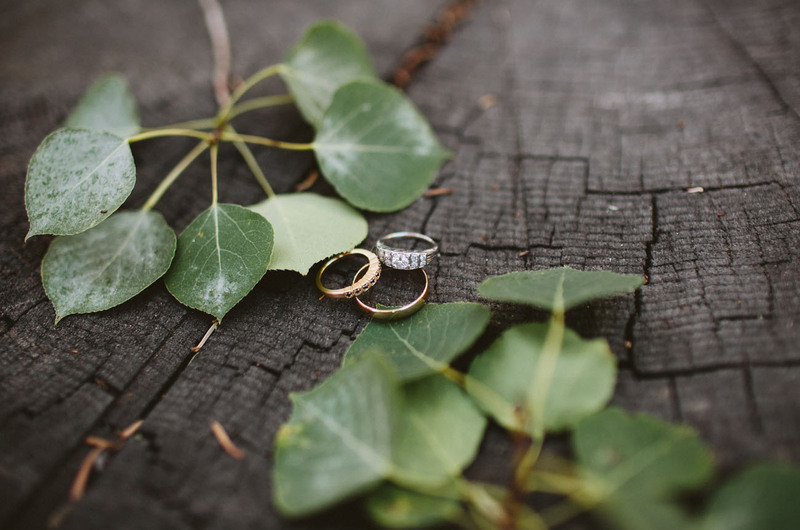 Taryn’s ring is vintage, with a custom wedding band from Marrow Fine. Hello stunning heels by Vince! 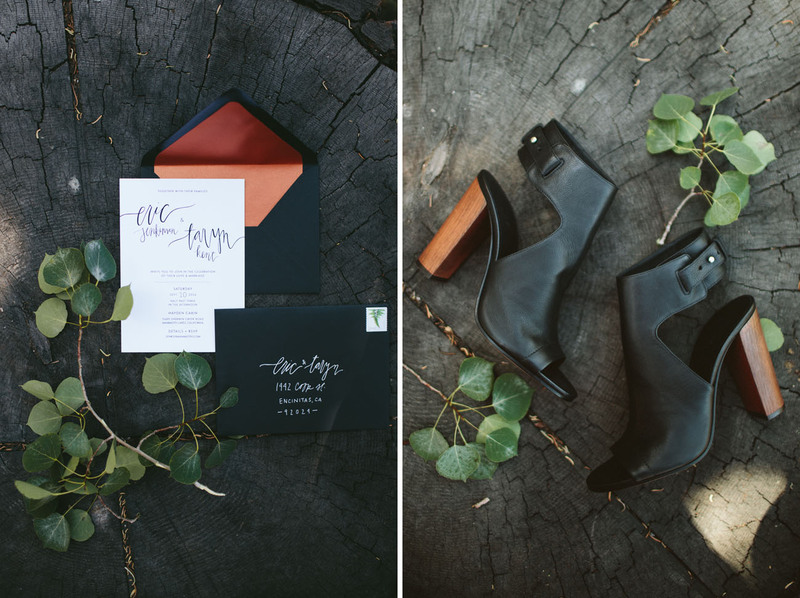 And we love the simplicity of that invitation, too! THAT DRESS!! It’s by Rue de Seine from The Dress Theory San Diego. 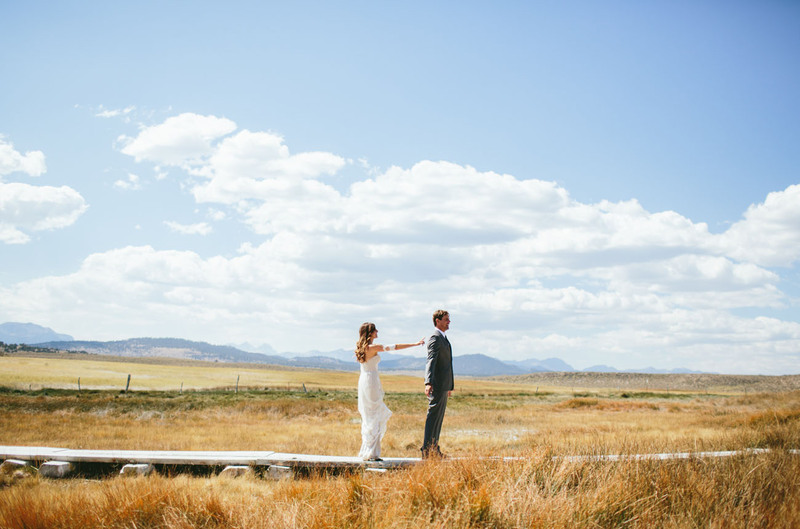 How gorgeous is this shot?! There were so many amazing moments... 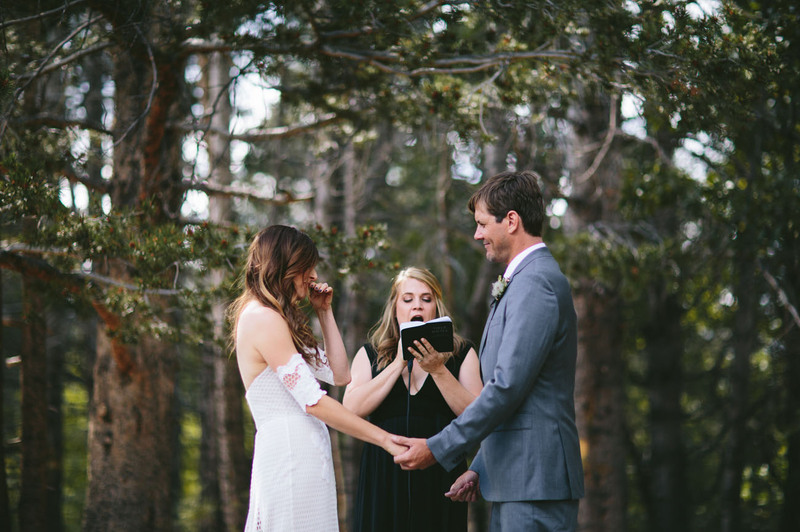 I think the ceremony was probably the most memorable. 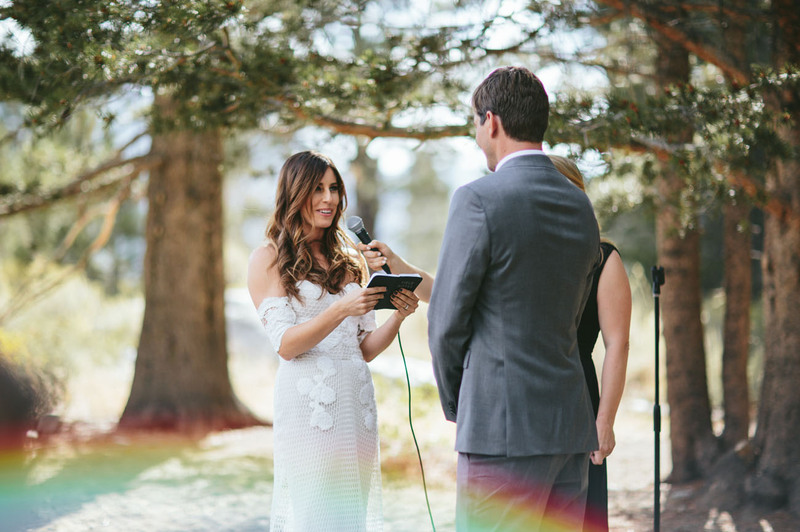 My sister officiated and hadn't told us what she was going to say, and her words were so sweet and thoughtful. 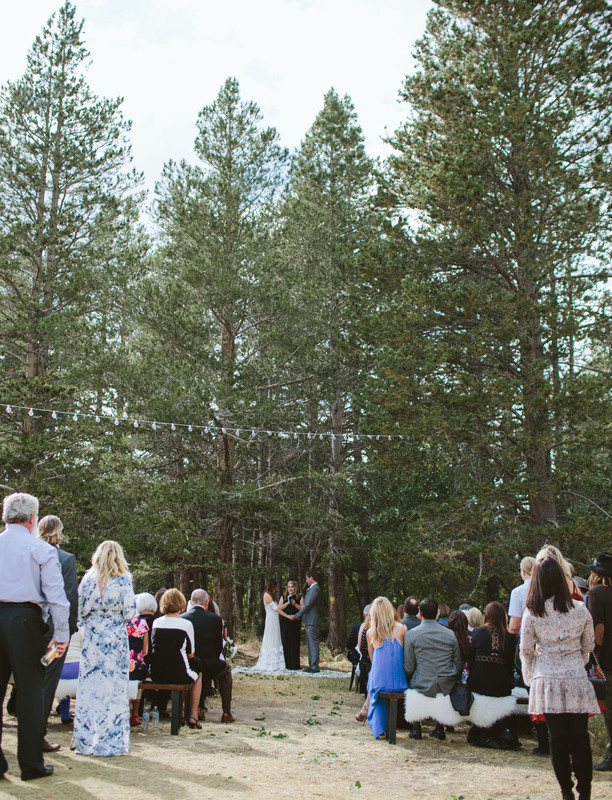 Then hearing Eric say the vows he'd written to me while looking around at all our favorite people there in one of our favorite places - it was all so meaningful! Hello gorgeous!! 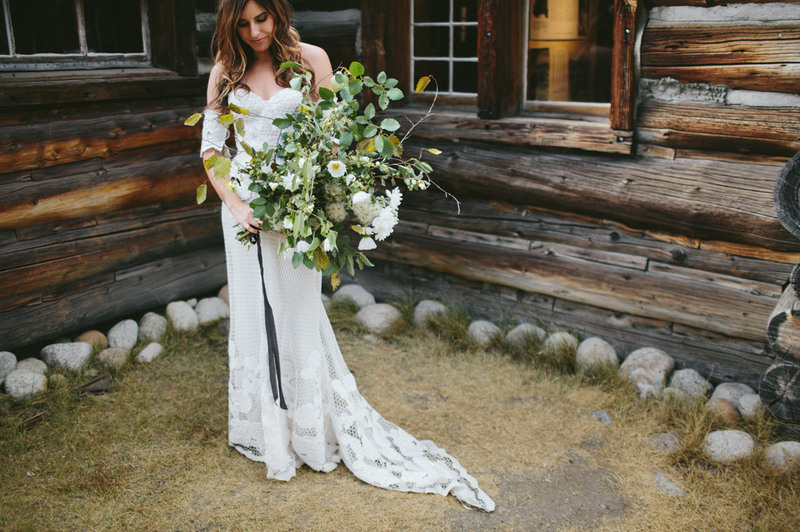 Siren Floral Co. foraged for wild flowers the day of to create this incredible bouquet that 100% complemented the scenery. 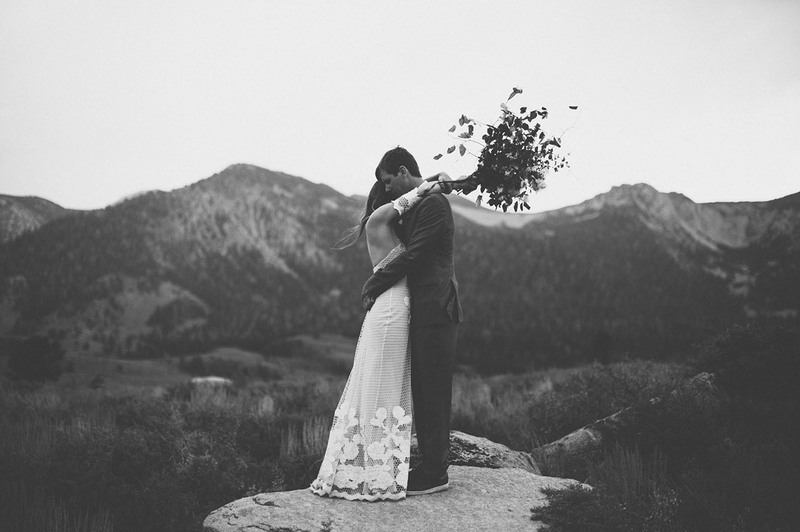 Awesome bouquet and such a beautiful location!